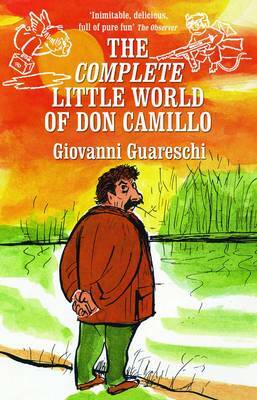 In Don Camillo's Little World, where the Cold War is fought on the very doorstep of life, the hot-headed Catholic priest and the equally pugnacious Communist mayor, Peppone, confront one another in riotous and often hilarious manner. But when Don Camillo unburdens himself in the village church a voice from the cross above the high altar responds and his conversations with Il Cristo begin. We watch and listen, as with fascinating insights and gentle humour the prejudices of the stubborn priest are undermined, a resolution to conflict emerges, and the situation is transformed to the benefit of the community. In this brand new, authorised edition of Giovanni Guareschi's enchanting classic, nineteen stories never before translated into English are published for the first time. Set in an isolated village amidst the sultry beauty of Italy s Lower Plain, The Little World of Don Camillo has been enjoyed by countless folk from 10 to 100, not only in book form, but also on film, TV and radio, and most recently as an audio-book.